Tollywood superstar Allu Arjun is one of the biggest stars of the South Film Industry. But did you know that he is the biggest fan of Shah Rukh Khan's films? Tollywood superstar Allu Arjun is one of the biggest stars of the South Film Industry. He is one of the biggest heartthrobs down South. The actor is riding high on his massively successful films in Telugu, and reportedly, he is soon set to spread his wings in Bollywood as well. The actor is probably gearing up to make his Bollywood debut soon alongside Ranveer Singh in the film 83. 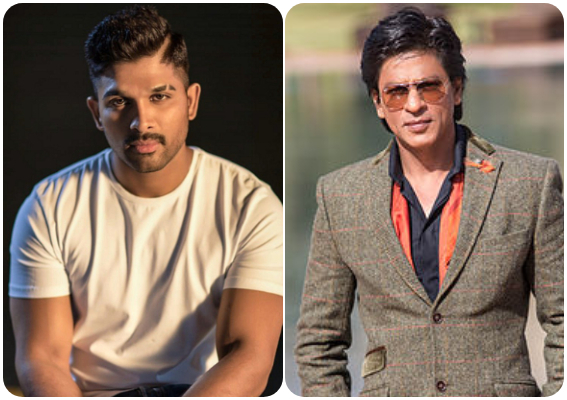 But did you know that Allu Arjun is already the biggest fan of Hindi movies and one of his favourite films is Shah Rukh Khan’s Dilwale Dulhania Le Jayenge. The superstar was recently watching iconic film DDLJ starring SRK and Kajol. The actor even expressed his feeling of watching SRK’s film yet again. Allu Arjun shared a picture of him watching DDLJ and captioned it, “Tuje Dekha tho ye jana sanam … I felt the highest magic moment of my Life when I watched it in 1995… and today after 23years I watched it again , and I felt that same magic n that love in my deepest heart . Highest cinematic moment of my life then , now n Forever #ddlj #srk #kajol #srkajol #yrf #yashchopra #tujedekhatoyejanasanam.” This only makes us want to see these two superstars together on the big screen. What do you think? Let us know in the comments section below. Meanwhile, fans are eagerly waiting to know about Allu Arjun’s next project. The actor was last seen in Naa Peru Surya. The film had a good run at the box office and is receiving a good response from the audience.